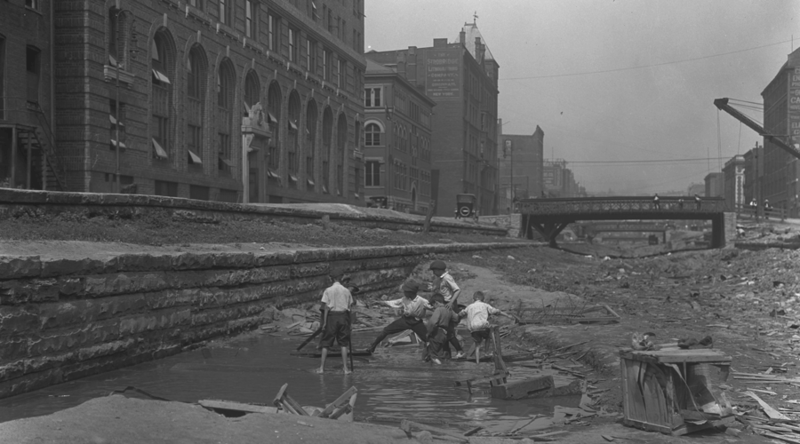 Children playing in subway excavations, June 1920. 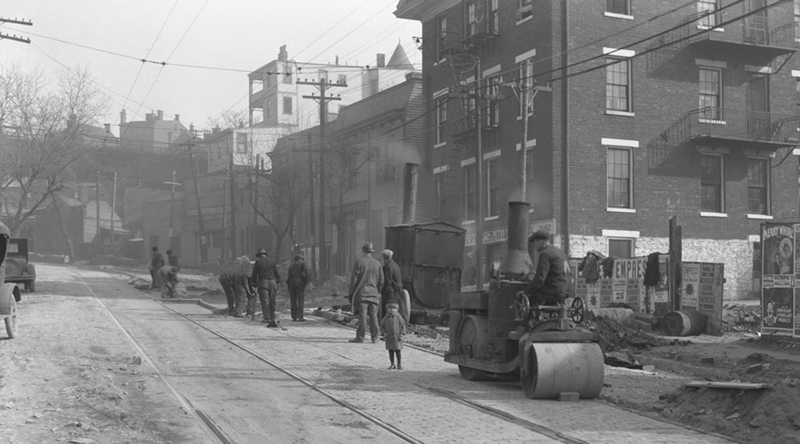 Florence Ave paving, November 1926. 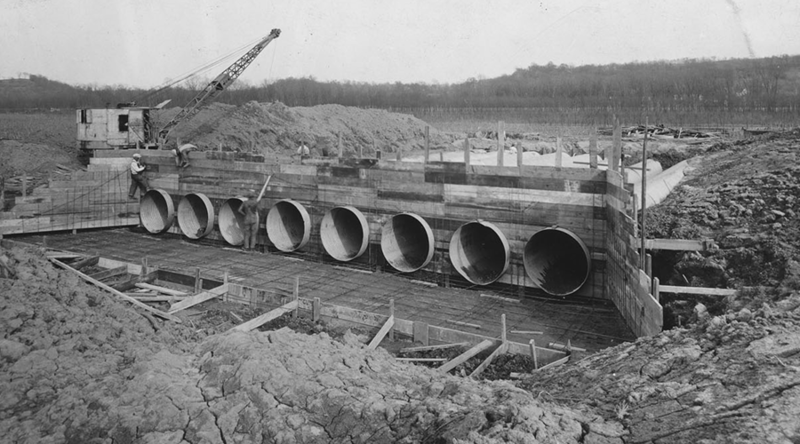 Dewatering pipes from Lunken Airport, April 1929. This project was made possible through the Library Services and Technology Act, a program funded through the Institute of Museum and Library Services and administered by the State Library of Ohio.